Happy Mother’s Day! Wow, it is amazing to think that it was just a year ago this weekend that we received Peyton’s diagnosis. I am in awe at the progress we have made in this first year, the progress Peyton has made and the progress we have made as a family. I do not even know where to begin. March and April have brought big changes. In March, Brent moved the office from Sherman Oaks to Torrance, and on April 1st, we moved our family from LA to Orange County. Where do I begin…we are just so happy to be here. While we most definitely miss our friends and family in LA, we are thrilled to be in such a family friendly area and so close to my parents! But, there is more! 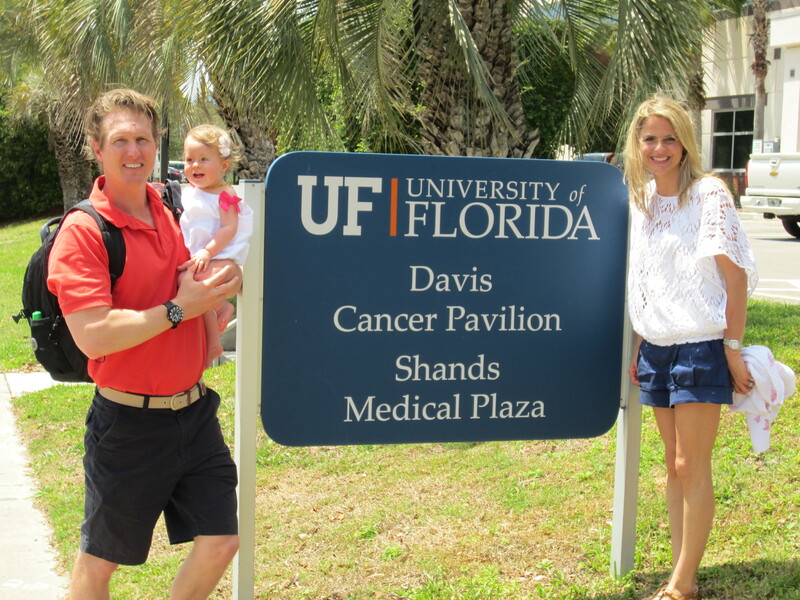 On April 14th, we flew to Florida to meet Peyton’s specialist, Dr. Jennifer Miller, which was truly awesome. After Peyton’s diagnosis, we started reaching out to other families that had children with PWS, and we heard over and over about Dr. Miller. I called her soon after and was amazed that her nurse passed my call directly to her. I spoke with Dr. Miller for 20 minutes about Peyton, what we needed to do now, and that it would be best to see her when Peyton was a year old. So… we started planning our trip. Our meeting with Dr. Miller far exceeded our expectations. We went into the meeting with some anxiety. We felt like we were in a really good place with Peyton, that she was making so much progress, and we really did not want to have to focus on what was too come. Not that we were in denial, but this first year has been a roller coaster of emotion and we were just enjoying where we were at right now. Dr. Miller gave us so much hope for Peyton and her future, she eased our anxiety, and made us feel like the potential was endless. We now feel like Peyton is currently under the care of the best doctor for her. PWS is a rare condition and where some specialists see 10 patients a year, she sees 450. People come from all over to see her. We know that the right regimen for Peyton, therapies, growth hormone, supplements, and support, will make a big difference in her future. Peyton turned 1 on April 18th, it was such a happy day with so much to celebrate. Then on April 22nd, Peyton’s G-Tube was removed (her feeding tube). I cannot tell you how happy this makes us! Peyton is eating enough food on her own that she no longer needs it. We are in a really good place right now and we are so thankful to everyone for their support and prayers because we feel like they are being answered. Peyton has taught us so much in her first year of life, she has refocused us on what is really important. She has taught us to slow down and enjoy the little moments, to cherish our time with our families and our friends, and that beauty shines most brilliantly through the imperfections. This is the best Mother’s day ever. I love my amazing family.